638 sq.ft. – 2033 sq.ft. 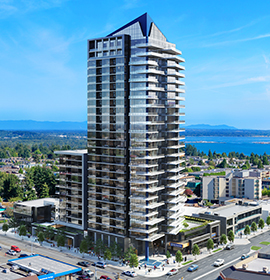 Offering the best concrete ocean-view value in the lower mainland, Soleil takes center stage in White Rock’s most urban location. These 1, 2 & 3 bedroom air-conditioned homes are just steps away from the convenience of over 300 shops, services, and restaurants.